My daughter has been on the “pre-diabetic white diet”: processed flour, sugar, dairy. Pizza, pasta, candy, cake, milk, cheese, vanilla yogurt. Scary as hell. I’ve felt tortured watching it every day. Nothing worse than feeling like you’re choosing between killing your kids slowly, or fighting with them at every meal over food. Presumably we didn’t fight hard enough for long enough, early enough. She’s always loved mac n cheese. We bought Annie’s instead of Kraft, but it’s still some sort of magic cheese powder + pasta even if it’s organic. And eating it twice a day, 5 days a week can’t be good. She’s 9 now. Finally some good news! It’s a little step forward here and there, but every morsel of vegetable, fruit and healthy fat that gets consumed is a little victory in my books. First we had success with apples. They have to be Honeycrisp or Pink Lady and she kind of gnaws a trench around the middle, but hey, that’s some fiber and micronutrients. Then I saw fellow Aussie, Joe Cross’ inspirational “Fat, Sick and Nearly Dead” and bought a juicer. I’d prefer to give smoothies (so they’re drinking the whole plant), but if fresh juicing is more acceptable that’s ok with me. Started with carrots and apples. Now I sneak in a little lime juice or cucumber or a leaf of spinach or kale. Kids are amazing, they can taste the slightest change. So sometimes I go too far and end up having to drinking the juice myself, and I always have to skim off the foam. But it’s progress. In the last two weeks we took some giant leaps forward. 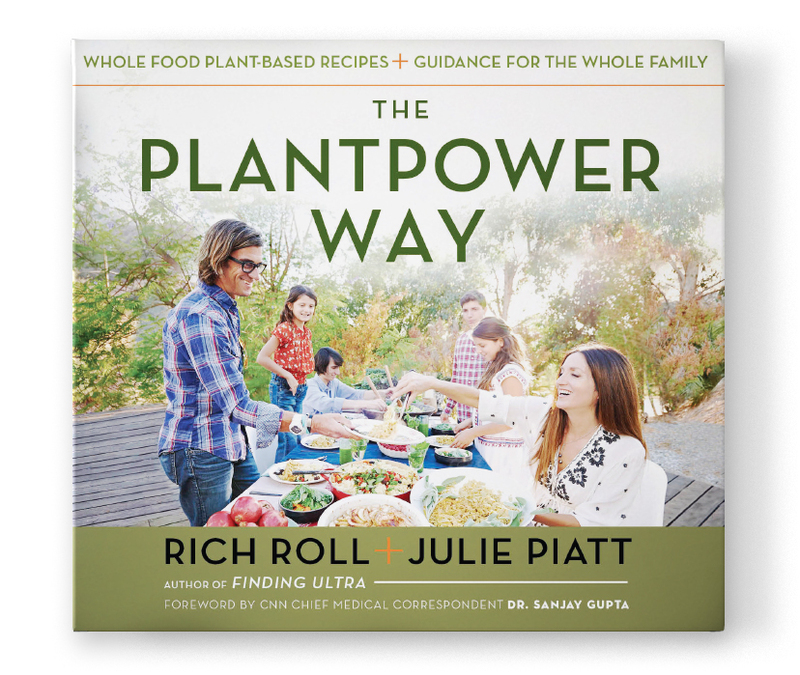 After hearing Rich Roll on a podcast, I bought The Plantpower Way because they focused so much on how to help the kids eat better. I’m so excited the success we’ve had. First a Kids’ Mac & Cashew Cheese recipe (page 204) that replaces the béchamel with ½ cup frozen butternut squash, ½ cup cashews, 2 Tbsp nutritional yeast, ¾ cup water, 1 Tbsp lemon juice, ½ tsp salt, throw in the Vitamix, blend, adjust seasoning to taste. As we’re not trying to go vegan or gluten free, we used regular pasta (you could always go with rice or quinoa or whole wheat) and garnished with 1 Tbsp reggiano. This got rave reviews: “better than béchamel”. I beamed. I told her how excited I was. I danced around the room. Wow. Replacing a cup of cheese with squash and cashews and all the vitamins and minerals in the nutritional yeast is huge. Tonight, we doubled down and tried “Fettucine Alfredo”(page 227). Having her look at the recipe, agree in advance to try it and to help me cook it is surely part of the acceptance. This one is very similar (2 cups butternut squash, ½ cup cashews (soaked in water 4 hours plus), 2 Tbsp nutritional yeast, 1 cup hot water, 2 Tbsp butter (you could use vegan butter), and ¼ tsp salt all blended up in our trusty Vitamix. Then the big surprise: ½ tsp freshly minced sage, ¼ tsp nutmeg and ¼ tsp fresh ground pepper. Blend again and season to taste. In the early years, whenever we ordered pasta with butter and cheese at a restaurant we used to have to say please, no garnish. If they did feel compelled to add a little herb garnish, we’d send it back. Or we’d pick off all the “ne-nots” until she stopped complaining. That sucked. Although ne-nots was a funny made up word for garnish. Her ne-not detector was crazy strong. Naturally I was nervous about the sage and nutmeg and pepper additions. But no dramas at all. Not quite as popular as the mac and cashew cheese, and needed more like 1 ½ Tbsp parmesan. But way more veg (in terms of squash quantity) packed into this recipe. For these two wins, the book has more than paid for itself. I can’t wait to see what else we can try. Maybe Vegan Lasagna (page 236)? That’s great to hear that she likes some of the healthy food now too. Keep in mind that a lot of times, they go in phases and the mac ‘n cheese phase does eventually pass. We’ve always eaten relatively healthy food, but my daughter could be choosy. We at least always avoided fast food and she’s always seen McD’s as evil, so we succeeded there. But when she was younger, I remember making a lot of pancakes and our favorite dish I would make for her was the bacon (full pound) and cheese (4 kinds) quiche made with heavy whipping cream. Then when she was around 11, I recall here telling one of her friends that her favorite foods were salmon and steak (we did some good BBQ’s). Then there was the shrimp phase where anything with shrimp was great. And she’s always been a big chocolate fan and would eat a lot (but only the 70% and above good kind). As I type this, eating a quinoa, bean, asparagus, basil, etc salad she made yesterday, she’s currently making a kale, red pepper, snap pea, etc. salad. She’s 17 and trying to eat as healthy as possible. I can’t say there’s much we’ve done to influence this, sometimes it’s just the current phase they’re in. But setting the example and trying to get in the little wins in here and there do make a difference and will leave an impression so that hopefully we they’re in charge of making their own food decisions, it will be easier for them to make good choices. Congrats on your progress with your daughter eating healthier food!